HOUSTON The allegations that a naturalized U.S. citizen obtained military technology for Russia through his Texas export firm have the makings of a 1980s spy film. Prosecutors say Alexander Fishenko and others sold cutting-edge microelectronics that could be used in Russian weapons systems, exchanged communications with Russian intelligence and tried to hide documents when they suspected authorities were onto them. Much of the case has to do with forgeries of documents and changing of information, CBS News senior correspondent John Miller reports. The indictment quotes messages between the Russians saying, about the documents, to "make it up pretty, correctly" and "make sure it looks good, make sure that these are listed as things that can be used on fishing boats and not anti-submarine craft." Fishenko and six others charged in the alleged scheme were expected to appear Thursday morning in Houston federal court. An indictment unsealed Wednesday accuses Fishenko of scheming to purposely evade strict export controls for cutting-edge microelectronics. It also charges Fishenko with money laundering and operating inside the United States as an unregistered agent of the Russian government. Sources in the Russian defense industry complex denied any connection with the people detained in the United States, according to the Interfax news agency. Fishenko was born in the former Soviet Union in what is now Kazakhstan and owns Houston-based Arc Electronics Inc. He and seven others were in custody following raids there by the FBI. The name of Fishenko's attorney was not immediately available. His wife, Viktoria, who was identified as a co-owner of her husband's business but not charged, declined to comment Wednesday. "I will speak when I know what's going on," she said. The Russian Foreign Ministry in a statement noted that the defendants had not been charged with espionage. Officials said diplomats have met with one of the detained suspects. Foreign Ministry spokesman Alexander Lukashevich lamented the fact that the United States failed to inform the Russian authorities of the impending arrests. The indictment alleges that since October 2008, the 46-year-old Fishenko and his co-defendants "engaged in a surreptitious and systematic conspiracy" to obtain the highly regulated technology from U.S. makers and export them to Russia. U.S. authorities say the microelectronics could have a wide range of military uses, including radar and surveillance systems, weapons guidance systems and detonation triggers. They also say the charges come amid a modernization campaign by Russian military officials hungry for the restricted, American-made components. "The defendants tried to take advantage of America's free markets to steal American technologies for the Russian government," Loretta Lynch, U.S. attorney in Brooklyn, said in a statement. Stephen L. Morris, head of the FBI office in Houston, called the charges an example of how some countries have sought to bypass export safeguards "to improve their defense capabilities and to modernize weapons systems at the expense of U.S. taxpayers." According to court papers, Fishenko was born in the former Soviet Republic of Kazakhstan and graduated from a technical institute in St. Petersburg before coming to America in 1994. He holds U.S. and Russian passports and has frequently traveled overseas to do business, making tens of millions of dollars on exports, authorities said. An analysis of Arc's accounting records showed a "striking similarity between fluctuations in Arc's gross revenues and the Russian Federation's defense spending over the last several years," the court papers say. Investigators also recovered a letter to Arc from a Russian domestic intelligence agency lab complaining that microchips supplied by the company were defective, the papers add. Phone calls and emails intercepted by U.S. investigators also "constitute devastating evidence of Fishenko's illegal procurement for the Russian government," the court papers say. Prosecutors said the evidence revealed repeated attempts by Fishenko to cover his tracks. In one instance in March, he "directed an employee of a Russian procurement firm to `make sure that our guys don't discuss extra information, such as this is for our military client,"' the papers say. In an earlier conversation, Fishenko favorably referred to a business associate using "a Russian colloquialism for `spy' or `secret agent,"' the papers add. 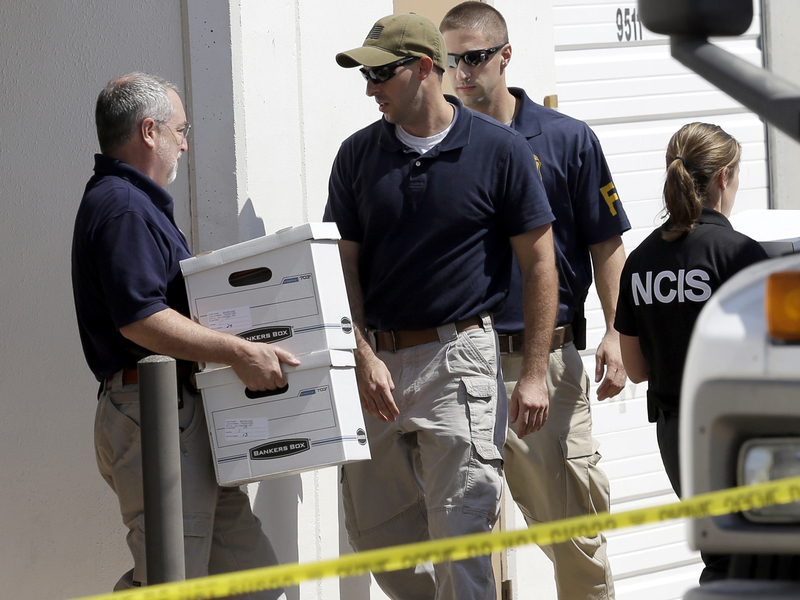 About a dozen FBI agents in Houston executed a search warrant on Wednesday at Fishenko's firm, an unmarked business located in an industrial area in southwest Houston. They took at least 18 cardboard boxes of materials from inside the business to a large truck parked in an alley in the back of the business. Under sentencing guidelines, Fishenko faces more than 12 years in prison if convicted on all charges.